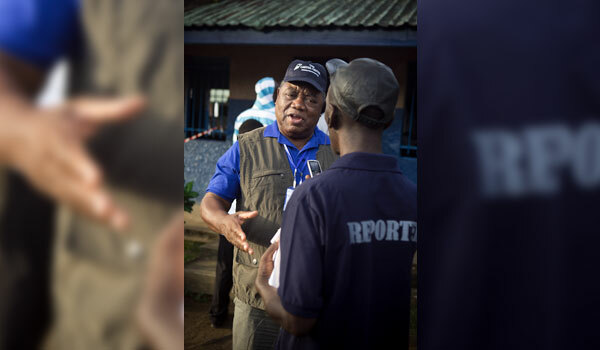 Former President of Zambia and Carter Center Election Observation Mission Co-leader H. E. Rupiah Banda talks with a local radio journalist at the polling station in SOS Children Village School in Freetown. 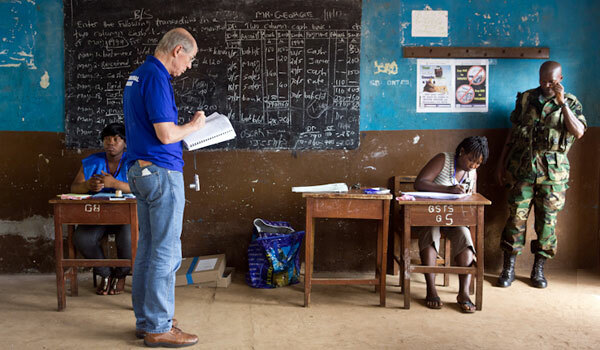 Dr. John Stremlau, Carter Center vice president of Peace Programs and election observation mission co-leader, observes voting in the Cape school polling station in Freetown. 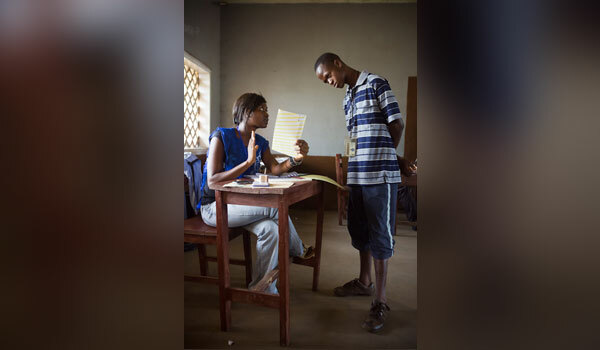 The Carter Center has been a pioneer of election observation, monitoring more than 90 elections in Africa, Latin America, and Asia since 1989 and forging many of the techniques now common to the field. A poll worker explains to a voter the procedure to vote for the general elections in the Juba military barracks polling station in Freetown. The 2012 elections are the first time that presidential, parliamentary, mayoral, and local council elections were held on the same day, testing the country's emerging democratic institutions, particularly the National Electoral Commission, the Political Parties Registration Commission, and the judiciary. 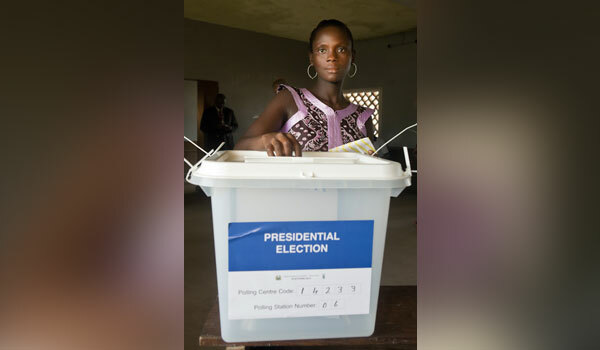 Mayato Kamara casts her ballot in the Juba military barracks polling station in Freetown. Carter Center observers reported that women participated in good numbers as voters, poll workers, citizen observers, and police. However, although women make up 52 percent of the total population, they made up only 13 percent (16 members) of the outgoing parliament. 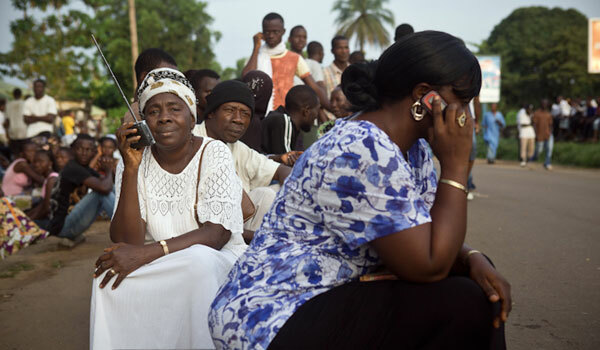 The Nov. 17, 2012, presidential and parliamentary elections were the first self-administered elections to be conducted in Sierra Leone since the end of the civil war in 2002, representing an important test for the country's democratic consolidation. At the invitation of the National Electoral Commission, The Carter Center launched its observation mission in September 2012 deploying eight long-term observers to assess electoral preparations and the campaign period.